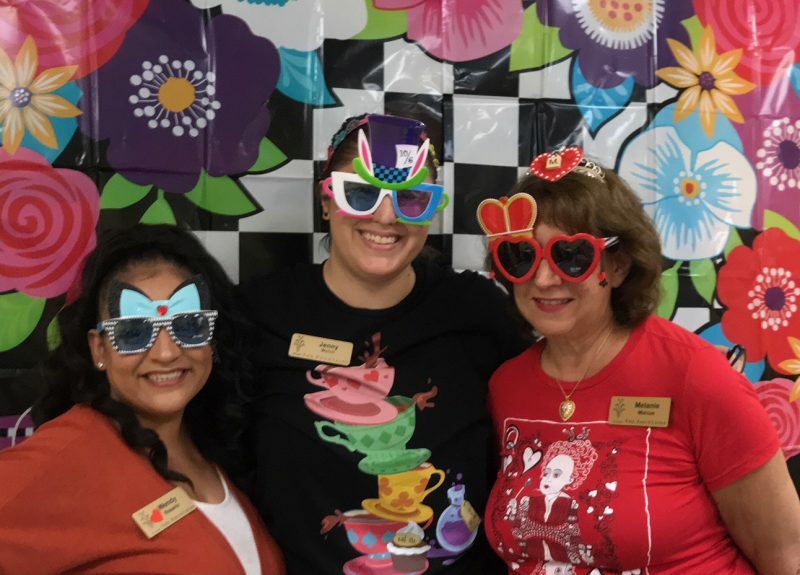 Mad Hatter Tea Party at The Inn! 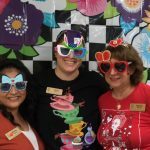 We joined Alice and her cast of crazy characters (our staff!) 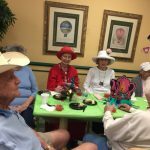 at the Mad Hatter Tea Party in the Ice Cream Parlor on Friday, May 25th at 10:30am. 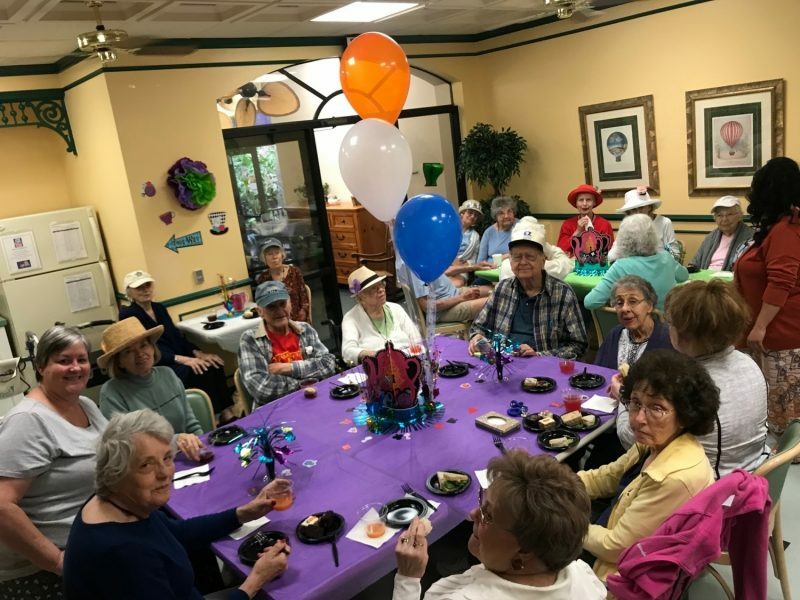 We celebrated the Very Merry Unbirthday with tea sandwiches and other delicacies prior to lunch in the Dining Room. 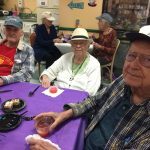 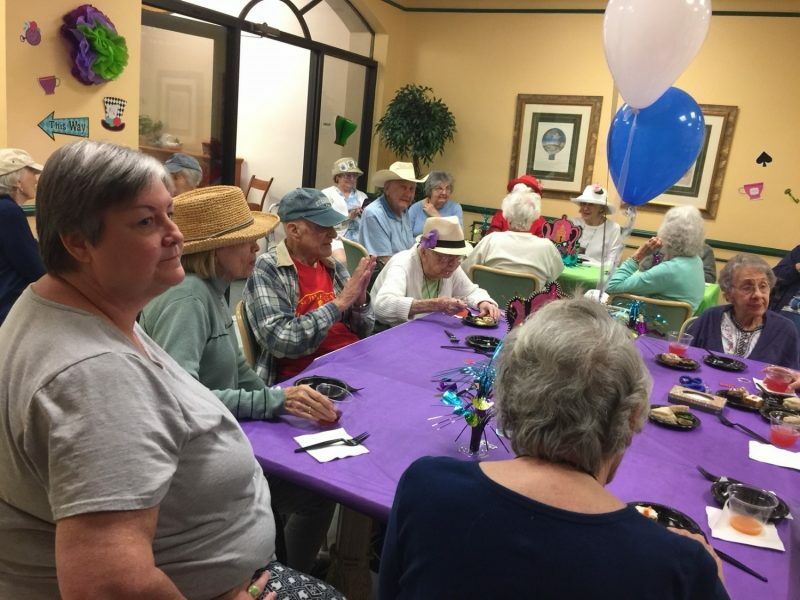 We enjoyed cucumber, watercrest, tuna and chicken salad sandwiches with mini desserts and an array of teas. 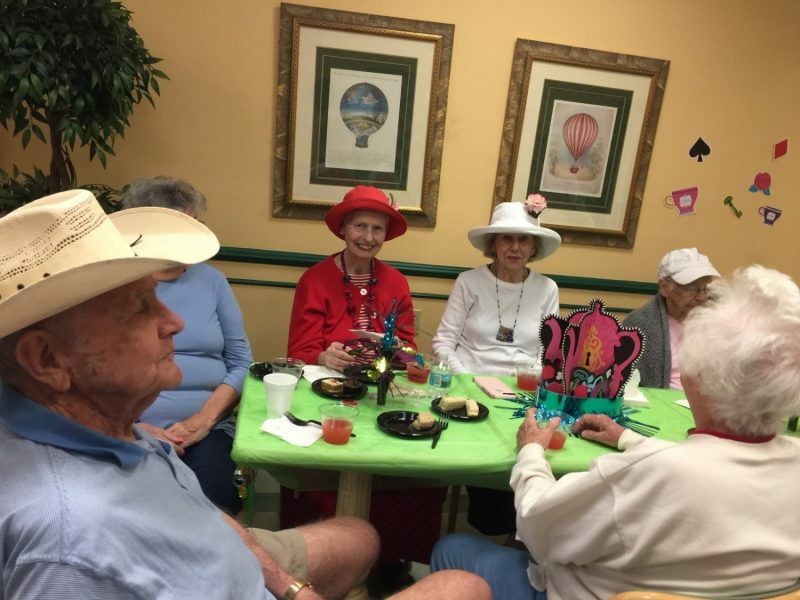 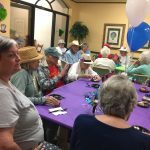 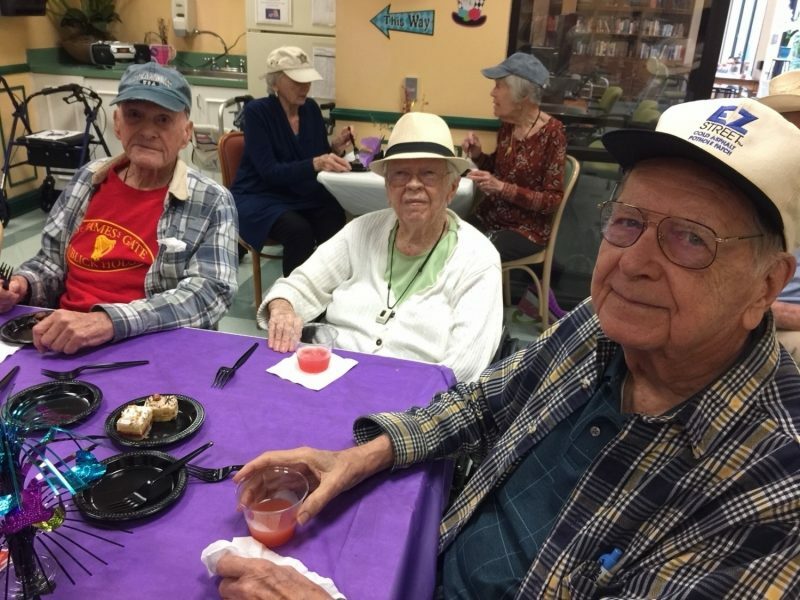 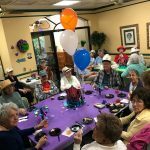 This party was inspired by the silly, sloppy tea party in the famous Alice in Wonderland story, this event was designed to make our residents smile and have fun!